Bestow Beauty Powder is a practical and powerful way of addressing nutritional deficiencies which undermine our skin health. Bestow Beauty Powder provides the nutritional building blocks your skin needs for healthy functioning and to produce good quality collagen and elastin. Nutrients supplied through super-food sources are easily absorbed by the body. Bestow Beauty Powder helps to improve your skin where it matters most - on a cellular level. The nutrient rich blend promotes youthful, healthy skin with a vital glow. Taken in conjunction with Bestow Beauty Oil it also supports the formation of a resilient, protective outer layer for the skin, which protects the vulnerable layers beneath from the ageing impact of environmental threats. People say their skin looks better, heals faster, that they have more energy and a greater feeling of wellbeing. FOR BEST RESULTS: Take one tablespoon of Bestow Beauty Powder every day, mixed into food, juice or water. 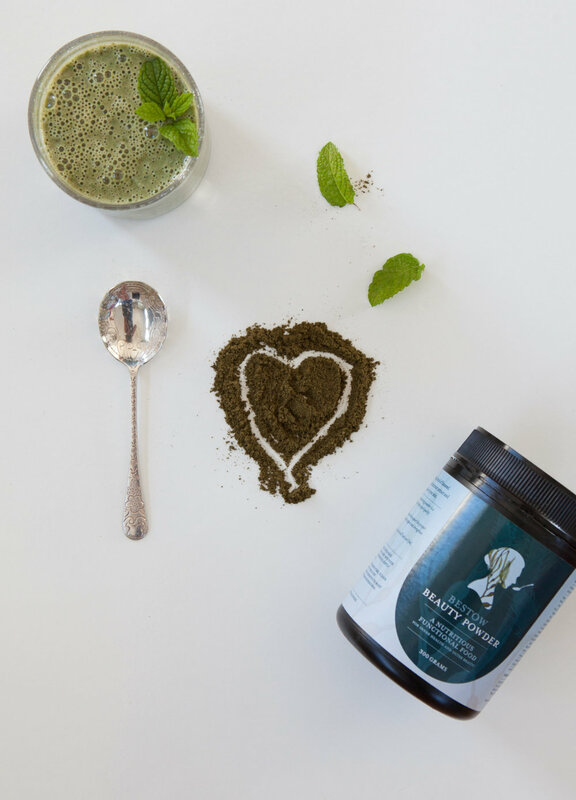 INGREDIENTS: Certified organic cold pressed flaxseed, pumpkin and coconut flour, uncertified blackcurrant extract, certified organic spirulina and kelp, uncertified alflafa leaf and certified organic wheat leaf. To maximise the benefits, you need to take Bestow Beauty Plus Oil everyday. Adopt a skin-food ritual from the list below that works for you. You can mix one tablespoon of Bestow Beauty Powder into your breakfast muesli or porridge. A simple way to take your beauty powder everyday is simply to mix it into a little bit of yoghurt. You could add some fruit and seeds for taste. It’s a hassle-free way to make sure you can get your daily dose of Bestow Beauty Powder on even the busiest of days.